I'm so excited to build this thing! I bought the Crysis Collection on Steam and I'm gonna spend the rest of my Steam wallet on GTA V and Killing Floor 2. 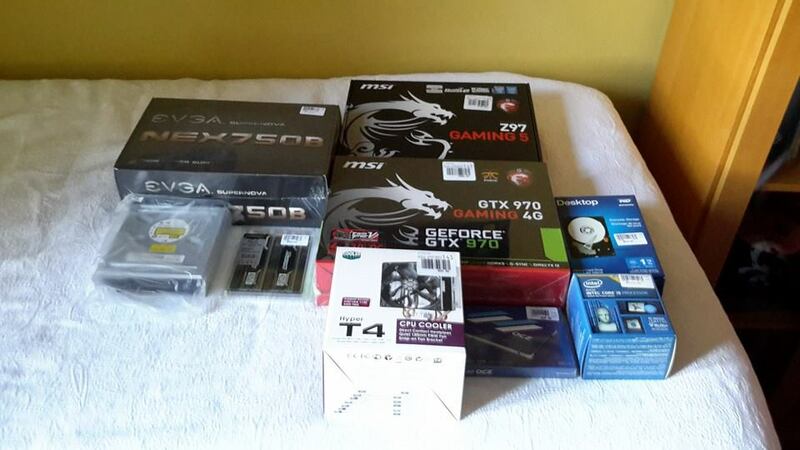 May my framerates be high and my temperatures low! Wow, a GTX 970, I would kill to have that card. Nice rig.